When CIO’s and IT Managers are asked about their challenges, data growth, backup, and disaster recovery always tops the list. Next generation storage is required to stay ahead of the business curve. Compliment this with Hi-Link's disaster recovery services and you have a business practice in place, not just an IT practice. Hi-Link’s Secure Disaster Recovery as a Service (DRaaS) allows your IT workloads to be replicated from virtual or physical environments to our advanced datacenter infrastructure. With over a decade of disaster recovery expertise, we can go far beyond simple backup to ensure all your key workloads are protected – and the disaster recovery process is tuned to your business priorities and compliance needs. A storm. A hacker. Or, something as simple as an unauthorized change in your data center. No matter what disaster hits your IT systems, Hi-Link’s DRaaS solutions can keep your business up and running. Feel comfort in knowing your data is being backed up to multiple world class datacenters. These datacenters are geographically dispersed, have generators to run for weeks and multiple internet service providers. Hi-Link has you covered and if ever needed we will have you up and running in minutes, not hours. If you need to take it a step further Hi-Link has disaster recovery and business continuity office space available for your use. Your office building floods or a fire strikes and you need people at a desk with a phone working we have the office space you need to get you through this difficult time. The goal is to have little to no downtime and to keep your business running as smoothly as possible. We all know the adage time is money. How long can you afford to be down? Hi-Link can help you develop your disaster recovery plan and meet your recovery time objective and do it at a cost effective price. With your business on the line, it is imperative to not hold onto the idea of it won’t happen to me or it won’t be that bad. We make a stressful idea and circumstance as easy and seamless as it can be by having a plan in place and executing it to meet your needs. Contact us today to learn more about the Hi-Link and our disaster recovery services. Many IT organizations are turning to the cloud to drive down costs. The challenge of dealing with burgeoning types and volumes of data – often arriving unpredictably – is likely a key factor in users’ interest in the cloud. What’s more, organizations differ in their maturity, sophistication and thoughtfulness when it comes to planning how best to integrate off-premises cloud storage with a traditional on-premises infrastructure. Emerging software-defined technologies enable agility. Software-defined storage technologies hold promise as well. With all these new technology options, storage is no longer just a necessary evil; storage, and how it’s approached, can have a huge impact on the top and bottom line. Hi-Link’s Data Backup and Replication Solutions provide fast, flexible and reliable recovery of virtualized applications and data. We bring backup and replication together in a single solution to both increase the value of backup and reinvent data protection. 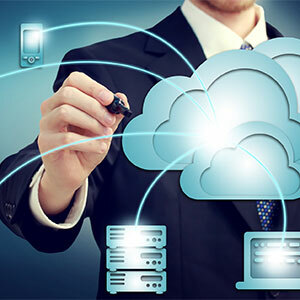 At Hi-Link, we don’t just provide backup and protection/replication software and leave; we leverage virtualization, storage and cloud technologies to deliver recovery time and point objectives for all applications and data. We do this by providing capabilities in high-speed recovery, data loss avoidance, verified protection, leveraged data and complete visibility.